Killer Characters: Great News! And other 'Vaguebook' teasers! Great News! And other 'Vaguebook' teasers! I have awesome news... that I can't share just yet! 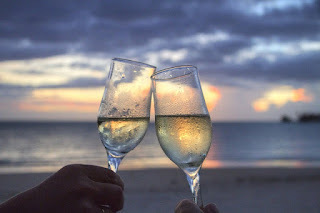 Don't you love Facebook or blog posts like that? NOT! They have a name for them. It's called 'Vaguebooking', and it's a social media no-no. I know, I know. Sometimes something happens and you're just so excited you can't bear to not say anything, and yet you can't talk about it yet. It's a promotion, or a new job, a baby or a wedding or a big move. You feel like you're going to burst, your news is so very awesome, and you're torn. It's maddening and exhilarating at the same time! That's what's happening to me this very minute. So... I have to say it. I just have to! I have AWESOME news, life altering, exciting, wonderful news... that I can't share yet. Something happened a while ago, and... no, no... I just can't share it. But some of you may be able to guess, and that's okay. I mean... what are a few guesses between friends??? It doesn't mean I'll verify your guess. Maddening, right? But I just can't help it. All will be revealed... soon. 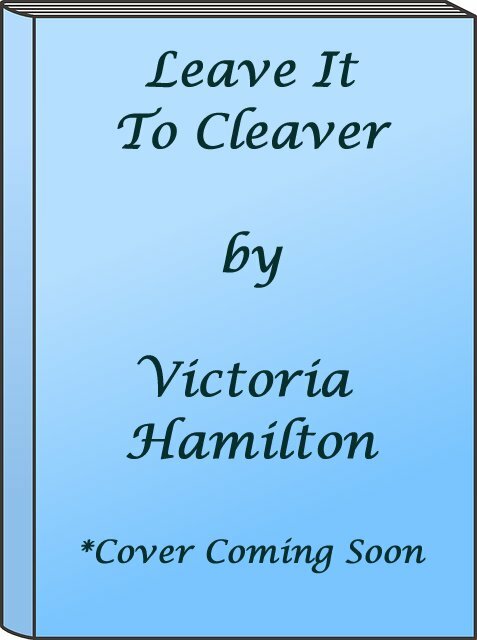 Leave It To Cleaver, Book #6 of the Vintage Kitchen Mysteries, will be released in June... details will follow very soon!! But until then... what do you think Jaymie's exciting news is?? 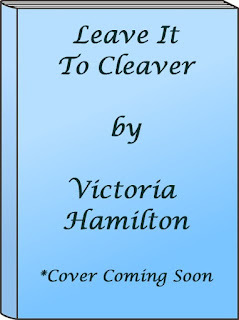 It isn't the cover of Leave It To Cleaver, I'll tell you that much, though I'll have that soon, too! No, this is JAYMIE'S exciting news!! Comment to enter with your guess, and I'll choose one winner for YOUR CHOICE of ONE of the Vintage Kitchen Mysteries so far, 1 thru 5. If you've never read the series, this is a great way to get the first book, A Deadly Grind, or... any one of the first five books!! US and Canadian addresses only, please! Comment to enter to win by Midnight, March 23rd. See my website for ALL the Vintage Kitchen Mystery titles and more!! I think you have a new contract. I hate waiting for good news. I hope the news is more books being published! I think you are starting a new series. I love this series and your covers are always great. Her cook book is going to be published. I hope so any way. I hope that Jaymie is going to be publishing her cookbook. bobwiesmsnn AT gmail DOT com. Publishing deal for Jamie's cookbook. I think we have more books to look forward to!!! Thanks for the chance to win! Well -- I don't think Jaymie is getting married so I'm guessing that she's finally going to have her cookbook published. I think there are more book coming in the series. Hopefully, there is a cookbook in the works. New series for me, but I'm going to guess more books in the series. I can't wait to start this one. Maybe Jaymie's news is that she found a pristine set of pink gooseberry pyrex. Or the new dot bowls! Looking forward to the reveal, thanks for the chance to win! I'm guessing that Jaymie will have her cookbook published! This is such a terrific series. Getting the cookbook finalized and published--or maybe getting her own shop instead of just working for someone. is vintage kitchen getting a tv series? Jaymie finds a publisher to publish her vintage cookbook. A cookbook, an engagement, and more books in this series would be great. I think a cookbook is in the works.